GM’s Steve Wickham demonstrates how collaborative robots react to humans. 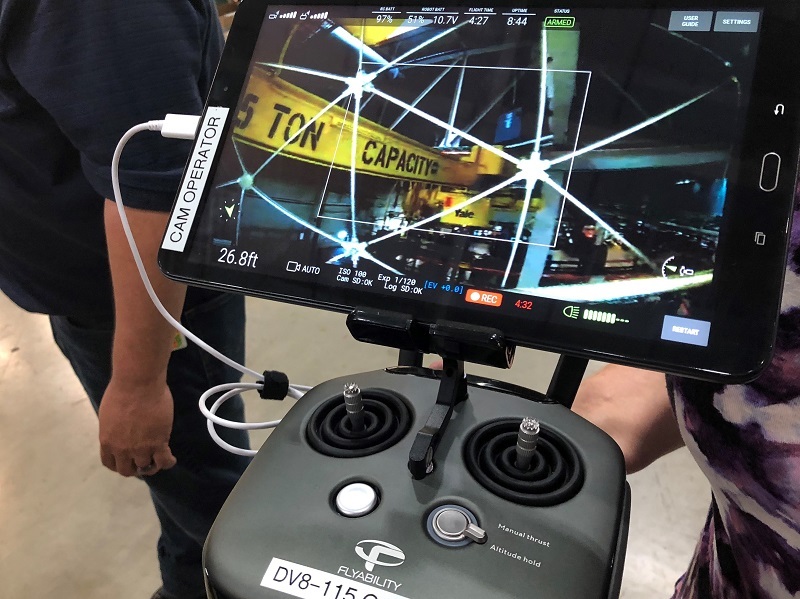 The automaker showed off a few examples to journalists, including collaborative robots safely assisting human operators to aim headlights and calibrate radar for adaptive cruise control. DELTA TWP., MI – General Motors accelerates its move into Industry 4.0, where manufacturers leverage data to enhance productivity, quality and safety, although the automaker will selectively apply principles of the fourth industrial revolution rather than diving in with both feet. In fact, Grieshaber frowns on terms such as Industry 4.0, or Manufacturing 4.0, preferring instead to call it “Smart Manufacturing,” where emerging technologies such as collaborative robots and predictive machine maintenance are surgically installed. Grieshaber says GM continues to work on major innovations for the factory floor, such as artificial intelligence for manufacturing, but argues the automaker’s deliberate strategy of following Industry 4.0 on a continuum rather than a full baptism is the smart move. “We’ll apply it where it works best, and is needed most, and integrate the new technologies with existing ones,” he says during a tour of a GM assembly plant here using some of those new technologies to build its popular Chevrolet Traverse and Buick Enclave large CUVs. GM showed off a few examples to journalists here, including collaborative robots safely assisting human operators to aim headlights and calibrate radar for adaptive cruise control. The work previously was done by less reliable, more cumbersome technologies that ate up floor space and employee hours. Calibration of the radar units takes just three seconds with the robots. “The efficiency gain is huge,” says Steve Wickham, vehicle test systems engineer at GM. Wickham also demonstrates how the robots, which disappointingly resemble an appliance more than Optimus Prime, move out of the way of human operators with the slightest bump. Collaborative robots also are used to stack spare tires at GM’s Orion Twp., MI, assembly plant. GM uses between 800 and 1,200 robots in a single assembly plant, including the body shop robots automakers have been relying on for decades. But GM was among the first to field robots in automotive manufacturing in 1961 at a diecasting plant in Trenton, NJ. GM is working with industrial robotics expert Fanuc to further develop collaborative robots. GM’s John Brown, Susan Davis demonstrate automaker’s use of drones. To reduce repetitive injuries among assembly plant employees, GM is testing a mechanical glove it developed with NASA. Nicknamed “Robo-Glove,” it gives users a strong grip to use tools more safely and comfortably. Gripping tools for even short periods can cause fatigue within just a few minutes. “This is not Iron Man, but it gives you increased grip pressure,” Grieshaber says. Pressure sensors within the glove detect the grip motion, while synthetic tendons automatically retract to pull the fingers into a grip and hold them until the sensor is released. Marty Linn, principal robotics engineer at GM, demonstrates the technology with a handshake: The glove’s grip is not painful, just a bit firmer. “We don’t want forces greater than what your own skeleton can handle.” he says. GM is working with Bioservo Technologies of Sweden to bring the Robo-Glove to production. This plant near Lansing is among a few GM sites to use drones to perform equipment inspections when it might be unsafe or overly time consuming for a maintenance employee. For example, infrared technology on the drones can spot heat loss, which can be costly in assembly plants consuming massive amounts of energy. And if employees were to perform routine inspections it might require harnesses, a mechanical lift and a spotter on the ground. It also would be terribly inefficient, Grieshaber says. Camera feed from drone inspecting overhead rails. “They are just hunting and pecking,” he says. Drones can safely test for air quality, too, before an employee is sent in to clean up after a spill. Steve Long, coordinator-UAW skilled trades for the GM Dept., says new technologies threatening jobs remain a concern with the labor group but many of the breakthroughs lead to new opportunities. Three-dimensional printing also has arrived at the factory. Several GM facilities, including this one, use the technology to create on-demand parts to assist employees. The printed parts, which also can be sent to a GM supplier for mass production, evolved after GM started using 3-D printing to make trays for assembly line kits. It has saved $300,000 since the unit was installed at the plant about 24 months ago. The machines are not cheap, though, costing roughly $28,000 with another $7,000 for their enclosures. 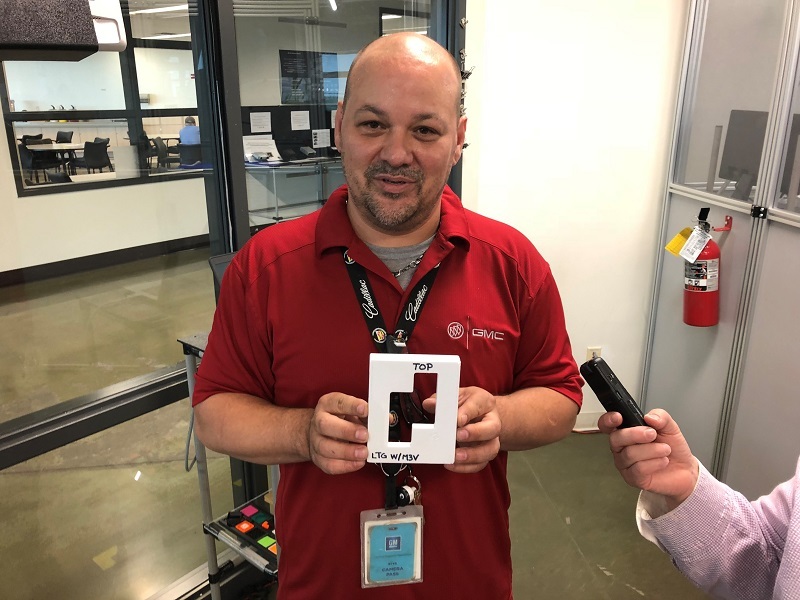 Zane Meike, lead printer at the Lansing Delta Township plant, says parts used by employees to help align front shocks with the shock tower during installation cost $100 when sourced from a third party. Meike says he 3-D prints them for $0.78. A batch of them takes less than three days to print, while delivery from a supplier takes upwards of three months. GM’s Zane Meike with 3-D printed template for affixing VINs. Suggestions for printed parts to assist the assembly process come from workers on the factory floor. About 18 GM plants have a 3-D printer on site, but the goal is put one at each, Grieshaber says. Smart Manufacturing is about people, too, the automaker says. 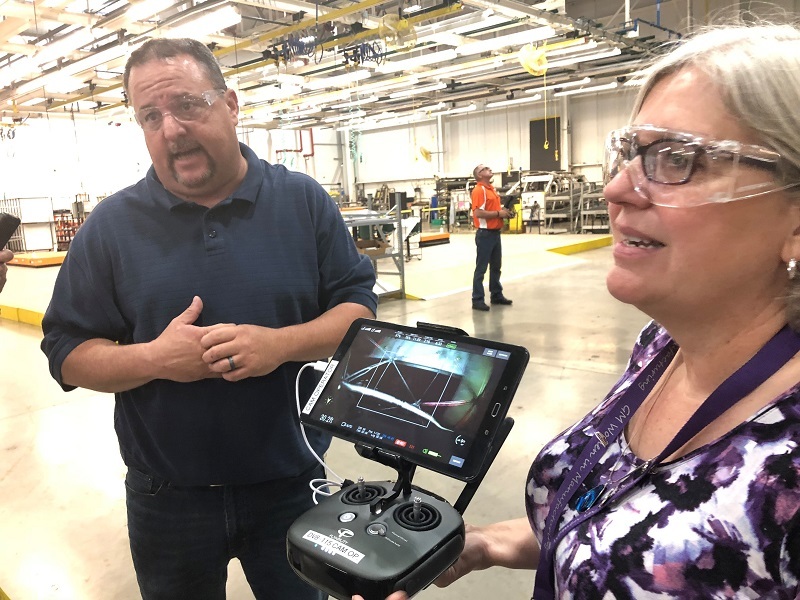 For example, a new apprentice program takes employees off the factory floor for advanced training to maintain the new equipment being introduced, such as robots, controllers and the automaker’s quality-focused Global Manufacturing System. The training is performed at a joint GM-UAW training center in Detroit. The training previously was conducted by local community colleges, but the institutions were falling behind on the new technology rollout, Long says. The 2015 GM-UAW contract brought the program to life by putting a hard number on the apprentice demand, he adds, and the pair are working with the Michigan Dept. of Labor to develop a program targeting 3-D printing and additive manufacturing. So far, 200 newly trained apprentices have been placed and 75 more will enroll in the fall, putting GM and the UAW on course to fill a growing need across auto manufacturing. Long says 60% of the company’s electricians and 85% of its diemakers are approaching retirement. “We are up against the wall a bit,” Long admits. Grieshaber says it is not always easy to determine which technologies might work. “There’s a little bit of art within the science to see what’s coming,” he says. “But you start with something simple, like zero injuries, and you determine what the roadmap to that might look like and the technology you’ll need. “Try something, and if you fail, fail fast and move on to something else. But it starts with the needs of the business. We are not an R&D lab,” he says.